Low back pain, or lumbago, is very common. 80 per cent of the population experience it at some time in their lives. Most back pain is ‘non-specific’ or ‘mechanical’ – in other words, it results from some minor physical problem in the complex structure of the back, such as a strained muscle, ligament or tendon. The severity of the pain is not a good guide to the seriousness of the cause and in fact the most severe pains are usually non-specific. Correcting poor posture, taking care with lifting and carrying, and performing regular exercise can all help. Sometimes pain is felt in one of the legs as well as in the back. Sciatica, which is caused by pressure on a nerve by a disc in the spine, is one cause and the leg pain may be accompanied by tingling, pins and needles or numbness. 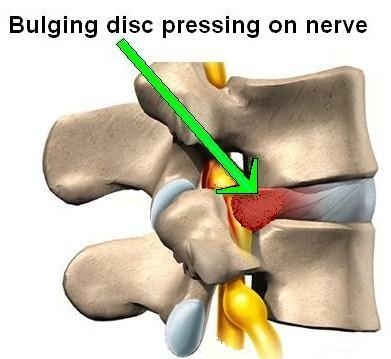 Although this is often referred to as a ‘slipped disc’, discs do not actually slip in and out. A more correct name is ‘prolapsed disc’ or ‘ruptured disc’. Discs are filled with a jelly squirts out and can irritate a nearby nerve, causing severe pain down the leg. With pain-killers, a few days’ rest, and then gentle exercise and physiotherapy, the tear heals, the disc material is absorbed and the pressure on the nerve is relieved. It is important to keep mobile as the pain permits, although initially a day or two of bed rest may be necessary if the back pain is severe. Most people get better in a few weeks, but in a small number of people, symptoms do not get better with pain-killers and physiotherapy. They may need a spinal injection to reduce the inflammation of the disc or spine surgery to remove the disc material. Pain the neck is probably as common as pain in the back and often has similar causes, although a ruptured disc is much less common in the neck than in the lower back. Poor posture is a common culprit. Many people hunch their shoulders and allow their head to poke forwards. The head is very heavy (as heavy as a bucket of water) and, to stop the head from flopping onto the chest, the muscles at the back of the neck have to work hard to hold the head up. Eventually, this chronic contraction, or tension, causes aching pain and stiffness in the trapezius muscles across the shoulders, and up the neck to the back of the head. It can even cause severe headaches (tension headaches) felt across the forehead and behind the eyes. Call (+65) 6471 2674 (24 Hour) to see our spine specialist for treatment to your back and neck pain today.